"Have you finished your Christmas shopping Gage?" Chet Kelly loved to torment his youngest crew mate, but what was he up to now? "Huh, what do you want Kelly?" Johnny asked distractedly. "Shopping, presents, you know Christmas?" Kelly was looking for the right button to push to aggravate Johnny. "What about them? Man Gage you sure are dense sometimes. Chet quickly lost interest in that avenue of prodding. "Don't you celebrate Christmas?" "I…uh…what's it to you? I celebrate. I mean. Usually I'm working overtime, but yeah whatever station I'm covering at usually has a pretty good dinner. I celebrate." Johnny was clearly bothered by his own admission that he had no real Christmas celebration. He always tried to work overtime, besides the extra pay for working the holiday, and the fact that his working allowed a family man to be home, made working Christmas worth while. "Are you working this year Johnny," Marco asked. "I told headquarters I could if someone with kids or a family needed to be off, but I haven't heard yet." Johnny had grown somewhat uncomfortable at the topic of conversation. He rose from the table and refilled his coffee cup. "I'll be out back if anyone needs me." He left the room. Los Angeles Fire Station 51 had been in operation for just over a year now and most of the original crews were still there. The A-shift had a new leader. Captain Hammer had been moved to a new station closer to his home. The crew was still getting acquainted with their new Captain, Hank Stanley. He seemed to be a fair man. The tallest man on the crew at 6'3" he towered over his men which made them that much more aware of his position of authority. "Kelly, why don't you give Gage a break? His working for family men on holidays is a very unselfish thing to do." Not sure how to respond to his new captain Chet simply said "Yes Sir" to his superior and slunk lower in his chair. Mike Stoker the A-shift engineer had been polishing the engine when Johnny passed through the bay. He watched as Johnny went to the brick wall at the back of the station and leaned against it. Mike was not normally talkative, but he walked out the bay door and up next to Johnny. "Chet bugging ya?" "Don't let him get to ya." Johnny looked over at Mike and slowly a crooked grin spread across his face. "Yeah"
"Well I better get started on dinner. Spaghetti sound good to you?" "Sure" Mike walked back into the station and disappeared into the kitchen. Johnny sipped his coffee feeling better. He vowed to himself that he wouldn't let Chet bug him any more, at least not on this shift. He chuckled to himself knowing Chet wouldn't give up bothering him until he got him to argue back. That's how it went with the two of them. Johnny finished his coffee and headed inside to return the cup to the kitchen. Roy came from the dorms having finished changing the bunks, cleaning the dorm was his duty assignment this shift. "You already finished hanging hoses." "Nope. Just about to get Marco so we can get started." Johnny stepped aside and let Roy enter the dayroom first. "I'm gonna have some coffee before I sweep and mop the dorm." Roy told him. "Yeah Johnny let's get the hoses done before lunch. Mike's making spaghetti." Marco smiled knowing Johnny loved Mike's spaghetti. "Yeah he told me." As if on cue Johnny's stomach growled. Everyone laughed. Johnny grabbed a banana from the fruit bowl on the counter and in two bites it disappeared. "Maybe that'll hold me til it's ready." Everyone laughed again. "Kelly, don't you think you had better get busy with the latrine?" Captain Stanley said over the top of the sports section of the newspaper. "Yes Sir" Chet hurried from the room. "Roy can I ask you a question about your partner?" Captain Stanley put the paper down and leaned on the table. "Well I know you are married and have two children, Chet lives with his mother and sister, Marco with his mother and sisters, Mike lives alone but has his parents, who does John have?" "Cap I…you know Johnny never talks about his personal life. He's never told me about his family. Honestly, I don't really know." Roy paused and rubbed his hand over his face. The thought that he didn't know much about his partner bothered him, but he hadn't wanted to press the issue. Johnny talked all the time with nervous energy, but his personal situation never came up. "I mean he's been over to dinner a few times since we became partners. He's really good with my kids. He's a perfect gentleman with Joanne. He never talks about himself. Not here or when he is over at my house." Roy felt really bad that he couldn't answer his captain's question. He should know. He's Johnny partner. They had become friends from the first time they met. Johnny was fast becoming one of Roy's best friends, maybe even his very best friend, but Roy actually knew very little about the man other than what a good fireman/paramedic he is. "It bothers you that you don't know doesn't it Roy?" Captain Stanley was very perceptive. "Well yes it does. I mean I've told him just about everything there is to know about me, but he hasn't told me anything about his life before the fire department. I can't help but wonder why." Roy slowly spun the almost empty coffee cup around in his hands. "I mean we trust him with our lives, but we don't know much about him. Don't get me wrong Cap. I do trust him. He's gotten all of us out of some pretty sticky situations. He's good at his job. I just don't know where he came from or how he grew up. The only thing he has shared with us was that he is half Indian and spent time on a reservation. Chet made fun of him, and he just blurted it out. That's all he ever said about it. He also said he was editor of his high school newspaper and that he ran track." "I'm not at liberty to discuss his personnel file, but I'll tell you there's not much in it either. I like to get to know my crew. Maybe he'll talk to me." Captain Stanley got up from the table and put his cup in the sink. "I have some paperwork to catch up on." Roy remained at the table staring into the now empty cup before him. "It's okay to be private, Roy. Maybe there's nothing much to know about Johnny's past anyway. We all know what a good person he is now. That's enough, right?" Mike said never turning to face Roy. He just kept on stirring his sauce. "I know Mike. It's just that…I…well I hope that he is just private and not that he's embarrassed or something. I mean you know I grew up in a pretty rough situation myself after my dad died. Mom did her best, but well until I went into the service it was tough." "We all have our skeletons Roy." "Yeah, thanks." Roy put his cup in the sink. "I'd better get the dorms finished before we get called out." "Lunch will be ready in about thirty minutes." "Good deal. It smells great." Mike nodded as he continued to stir. In his office Hank pulled a file out of his drawer. He laid it on his desk and leaned back in his chair. The name on the file read John R. Gage. After a few minutes Hank opened the file and looked for the document he wanted. Finding Johnny's original application to the department he leaned back and read the form. Name: John Roderick Gage, address, birth date, social security….. Hank continued to read over the document to the information he was interested in. Emergency contact: Rosemary Gage Dunn, relationship: aunt. Mother: Sarah Gage, deceased. 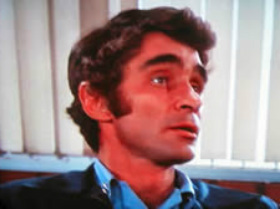 Father: Roderick Gage, deceased. Hank leaned back in his chair again, folded his hands in his lap and wondered why Johnny had never told his shift mates that his parents were deceased. 'What are you hiding John?' he thought. Looking again at the file Hank found a change of status form where Johnny had changed his aunt's contact information recently to a nursing home. 'Is that why you work so much overtime? Do you have to pay for your aunt's care? If that's the case on your salary you must be struggling.' Hank decided at that moment that he would do some checking himself. Picking up the phone he dialed the number in the file for Rosemary Gage Dunn. "Sunny Farms," the kind voice said over the phone. "May I help you?" "Hello, Uh my name is Captain Hank Stanley from the LA County Fire Department." "Oh no please tell me nothing has happened to Rosemary's nephew Johnny." "Oh thank goodness. He's such a nice young man. He visits here every week. He not only spends time with Rosemary he visits with a lot of the other patients. It's really sad that his aunt doesn't remember him most days now. Dementia you know. It's so sad, but he still comes. What can I do to help you Mr. Stanley?" "I didn't realize she was in such bad health. I wanted to speak with her about Johnny." "I'm sorry sir. She wouldn't understand. Please tell that nice young nephew of hers hello for all of us here." "I'll do that. Thank you for your time." "Oh no problem at all, you just keep that young man safe. I'd hate for you to have to call us again with bad news." Hank hung up the telephone and scratched his head. 'You really are alone aren't you John. Well not any more. Not as long as you're part of my crew.' Hank had already developed a fondness for the youngest member of his crew. Now that feeling ran even deeper. Reaching again for the telephone Hank dialed the number for headquarters. He wanted to find out what type of assistance might be available for a family member of a fireman needing extended care. What he found out was that only immediate family qualified for any assistance. Since it was his aunt and not a parent, Johnny was not eligible for the program, unless….Hank smiled thinking more research on his part was needed, but before he could start the tones sounded sending the station to a house fire. The A-shift crew ran from all parts of the station to find their spots in the engine and squad. Captain Stanley acknowledged the call "KMG-365" handed the call slip to Roy and jogged across in front of the squad and engine to his spot. Shrugging into his turnout coat he looked over at Mike as they pulled from the station, "Well here we go boys." "Yes Sir" could be heard from Mike, Chet, and Marco. Mike pulled the air horn and smiled as he maneuvered his Big Red into the street behind the squad. Roy honked in response. The adrenaline pulsed through their veins as they anticipated the work that lay ahead of them. Johnny excitedly drummed his fingers on his knee as he told Roy the directions to the scene. He didn't even have to consult the map. Johnny knew the streets of their territory like the back of his hand. Sure he had to look at the map on occasion, when there were detours to consider, or when they were called to one of the areas that overlapped another station's territory, but for the most part he knew the shortest route to any location they were called to. "Man will you look at that!" Johnny pointed to the plume of smoke that rose above the surrounding houses. As Roy pulled up to the hydrant Johnny jumped from the squad, opened the side compartment, grabbed his turnout coat and in one fluid motion pulled it on as he walked over to the engine, pulled the feeder hose, draped it around the hydrant and put his foot on the end holding it until the engine pulled up to the house. Once the engine was in place Johnny connected the hose to the hydrant and jogged up to meet with Captain Stanley for his assignment. "Cap?" "The neighbor says the homeowners could be inside. Their car is in the drive. It's bad in there. I'm not even sure you can get in. We'll give you what ever protection we can. Make it quick, very quick." Johnny and Roy ran over to the squad and donned their SCBA and ran for the front of the house. Marco and Chet each with a hose were already battling down the flames. Captain Stanley had called for a second alarm and came up behind his men to offer his support. Together Roy and Johnny ducked into the flaming house. Roy tapped Johnny on the shoulder and pointed to a flight of stairs. Johnny nodded and the two rescuers ran up the stairs taking two at a time. The smoke was thick making visibility difficult. The weakened floor creaked beneath their feet, but that didn't slow them down any. Roy took the first room on the right and Johnny ran to the end of the hall to the room there. Both made a quick sweep and came out empty handed. Roy took the next room across the hall and Johnny moved to his next room. Once inside the room Johnny could tell it was the master suite. He felt along the wall looking for the bathroom. He knew that most master bedrooms had their own bathroom. He found the door and pushed on it. Nothing happened the door was locked. Stepping back he moved into position to kick the door open. He kicked with all of the strength he could muster. When he impacted the door he felt a pain in his knee. The door swung open. As it did he fell to the floor landing on the injured knee. He immediately got up and began searching the small room. In the shower he found the couple. They had passed out from the smoke, but they had thought to turn the water on to help prevent the fire from getting to them. As he checked for a pulse on the two victims he pulled the HT from his pocket. "HT 51 to Engine 51." "Cap I have two victims of smoke inhalation on the second floor master bathroom." Johnny limped back through the bedroom and into the hall. "Roy! In here." Roy came out of the room he was searching when he heard Johnny yell. He looked down the hall and could barely see Johnny through the smoke, but their experience working together told him that Johnny had found the victims and needed his help. Once in the room Roy scooped up the man into a fireman's carry. Johnny picked up the woman. Roy noticed his partner limping toward the hall. "Johnny?" "I'm okay Roy let's get outta here!" Roy nodded and moved into the hall. Johnny let Roy take the lead. At the top of the stairs he stumbled a little. His knee was really hurting and the stairs were going to be difficult for him, but the fire was hot. He couldn't wait for back up. Taking the first step his knee throbbed in pain. Another step. Another. He would just have to take one at a time. Roy was already at the bottom and headed out the door. When he was about half way down the stairs he felt his knee give. He fell through the banister. He and his victim fell to the floor below. Johnny saw stars as his head slammed against the hall table. Chet and Marco saw him fall. Marco pulled out his HT and called Captain Stanley for assistance. Hank came running into the house with Roy. Another squad had arrived and began treatment on the man. Roy quickly checked the woman for injury. She had landed on top of Johnny and seemed to be okay other than the smoke inhalation she had already suffered. Captain Stanley motioned for Chet to take her out. Johnny moaned and started to move. "No Johnny stay still. Let me check you out." Roy ran expert hands over his partner's back and neck. Finding no deformities there he moved to the arms and legs. When he got to the injured knee Johnny grimaced in pain. "Okay Junior let's get you out of here." Roy and Captain Stanley both reached under Johnny's arms and helped him from the building. Outside they lowered him onto the yellow blanket that Mike had laid out for them. Now that they were out in the sun Roy could see the bump forming on Johnny's forehead. Mike had already set up the bio-phone and had Rampart on standby. Roy shined his pin light into Johnny's eyes and could tell that he definitely had a concussion. He splinted the knee, started the required IV and loaded Johnny up for transport. "Is he okay Roy?" Captain Stanley asked as he began shutting the ambulance doors. "He has a definite concussion. He's injured his knee. I don't think he broke anything, but I splinted it just in case. I think he'll miss a couple of shifts, but he should be okay." "I'll call for a replacement. Chet will bring the squad over. We'll meet you back at the barn." He shut the doors and gave them the familiar tap to let the driver know they were safe to move out. "I really needed to work that overtime. Now I'll miss my own shifts. I'll never be able to…." He didn't finish what he was about to say. He didn't want Roy to know that he would not be able to meet his bills. He needed the extra pay to cover the nursing home expense. He had to put Rosemary into the nursing home last spring. He had been struggling financially ever since. She was worth it. She had taken him in after his parent's died. He owed her a lot. She could have gone to a cheaper home, but he wanted to be sure she was in a good place. Her retirement pay didn't cover the extra cost of the better home. Johnny had to pay it himself if he wanted her there. Now he was injured again, and would fall behind on the payment. "Johnny why don't you just relax, we'll be at Rampart in a few minutes. They'll fix you up." Johnny just closed his eyes and didn't respond. "You need to stay with me Junior." Johnny opened his eyes slowly and looked up at Roy. What he saw in return was the concern that his partner had for him. Roy was the best friend Johnny ever had. He knew Roy would help if he knew, but Johnny didn't want to tell anyone about his misfortune. He didn't want their pity. "Poor little half breed" the people on the reservation had said. "Poor ignorant half breed, he'll never amount to anything." But they had been wrong. His aunt had helped him get away from the reservation. She had brought him to California to live with her. She had gained legal custody of him. Because of her he had finished high school with honors. She had encouraged him to go to college. He had actually thought about it, but since he was a little boy he had wanted to be a fireman. He applied to the academy as soon as he was old enough. She was proud of him. He came out at the top of his class. That was several years ago. Then he had met Roy and went through the paramedic training again finishing at the top of his class, but sadly Rosemary had already begun to forget things. There were times when she got lost and couldn't find her way home. She couldn't remember who she needed to call for help. Johnny had to get her into a home before she got hurt. Now she didn't even know him. She never knew his success as a paramedic. Sometimes she thought he was her brother Roderick, Johnny's father. Sometimes she just thought he was one of the workers at the home. The familiar turn of the ambulance brought Johnny out of his thoughts and back to the present. "Roy I uh…don't let...don't let Dixie c….call my aunt. I'm not…uh…hurt that bad. Okay?" "I…I d..d..don't want t.. upset her." He stumbled over his words nervously. "It's okay Johnny. We don't have to call your aunt. I'll tell Dixie, just calm down." Roy patted Johnny on the shoulder as they wheeled him into an exam room. A short time later Johnny was settled in a room for the night. His knee was just sprained. He had a concussion and some bruising, but all in all he was not badly injured. He would miss several shifts, but would fully recover. He would miss the overtime he had hoped to work Christmas as he had thought earlier. Roy stopped by to see him before heading back to the station. "Johnny, why don't you come to my house when they let you out? Your apartment has stairs that will be hard for you with crutches. I know Joanne would love for you to join us for Christmas dinner anyway." "No Roy, I don't want to mess up your family's Christmas. I'll be all right once I get up to my apartment. I'll just stay there." "No one should be alone on Christmas Junior. Think about it okay?" Johnny nodded and looked away. "Well I better get back downstairs and find Chet so we can head back to the station. I'll bring your things by in the morning after shift." Johnny nodded again, but didn't look at Roy. When the engine got back to the station Hank began that research he had started before they were called out. After getting a glass of ice water he returned to his office and the file. Flipping through the many documents he found the insurance information. Johnny had signed up for the coverage. Most firemen did. It was a good policy. With Johnny's tendency for injury it was a good thing he had picked the lowest deductible and most coverage available. He had also signed up for the life insurance offered. Reaching for the phone again Hank dialed the number for Chief McKonnikee, "Hello Chief, this is Hank Stanley, I have a situation I need to discuss with you about one of my men." "Well Hank I know the reputation of your crew. I certainly hope I haven't been misled." "Oh no it's nothing like that. It's about John." "I heard he was injured today. Everything all right? Nothing seriously wrong I hope. I wouldn't want to lose one of our best paramedics." "No sir. He just has a sprained knee and a concussion. He'll be fine. It's something personal. I would like to meet with you after shift to discuss it. Can I buy you breakfast?" "Sure Hank that would be fine. Name the place." Hank had worked under McKonnikee as an engineer when he was still a captain. He was rattled every time McKonnikee came to inspect his station, but he had a deep respect for the man. Feeling like he was on the right path to help Johnny with his aunt Hank decided to put the file away for now and get some coffee. Tomorrow morning he would have some answers to department policies. At the hospital Nurse Dixie McCall decided to check up on Johnny. Walking quietly into his room in case he was asleep she found him staring out the window. She placed a hand on his shoulder, "Penny for your thoughts." "Not worth a penny." He sadly said. "Holiday blues?" She asked. She heard a soft sniffle. "Nah, just thinking about my aunt." Dixie was the only person who knew how bad the situation was with Johnny's aunt. She didn't know he was struggling to pay for the home she had helped him find, but she knew his aunt no longer recognized him. "She loves you Johnny. Deep in her heart she still loves you." "I know. It's just…" he didn't finish. "It's Christmas and you wish things were like they used to be before you had to put her in the home." "Yeah, she loves Christmas. Well she did. Now she probably won't even realize it's Christmas." Dixie pushed the hair from Johnny's forehead in a loving way. "She's in a good place Johnny. They will help her have a good day." Johnny looked up at his friend and rewarded her with a small smile, "Thanks Dix." "No problem Johnny, get some rest. I'll check on you a little later." She smoothed his hair one more time and headed back to the ER. Johnny turned his head back to the window only this time his eyes slid closed and he slept. The morning tones sounded waking up the sleeping firemen. After a quiet morning the shift change arrived and Hank was on his way to meet with Chief McKonnikee. Over the next couple of days Johnny recuperated at Rampart. It was now Christmas Eve morning and Dr. Brackett had finally agreed to let him go home. The only stipulation was that he agree, against his will to stay at the Desoto home for a few days until his knee was better and he stopped having headaches and dizziness. Unbeknownst to Johnny his crew mates had a surprise dinner planned. Captain Stanley had decided that he needed to break protocol and explain to his crew about their youngest member's family. He felt that it was important for their future together as a successful crew. They were all shocked to learn he was alone. He was always ready to help them when they needed it. He was always the first to volunteer to work overtime or cover an injured man's shift. He seemed like the perfect family man. Captain Hammer had been a good leader to his men, but he had been of the group of captains that felt in order to maintain their place of authority they did not get too close with their crew. Yes they spent a great deal of time together at the station and he did interact with his men, but not on a personal level. Hank Stanley was not that kind of leader. In a very short time he had become attached to his crew. He wanted to know them on a personal level. He was a strong family man and wanted his men to trust him on the job and off to help them any way he could. Together with the help of his crew the surprise dinner was planned. Roy picked Johnny up that morning and brought him home. The kids were thrilled to have him join them for Christmas. They loved Johnny. As soon as he was settled on the couch they sat down next to him and started talking about what they wanted from Santa Claus. "Mr. Johnny," Jennifer started to ask him something. "Can you be my uncle? I mean you're here for Christmas, and I love you very much." She leaned into him and he wrapped his arm around her. "I love you very much too, and Chris." He reached over and placed his hand on Chris' shoulder. "Well can we call you Uncle Johnny instead of Mr. Johnny?" She looked up at him with her sparkling blue eyes. "I…uh…I don't…I mean…if…if your mom and dad….." He didn't know what to say and suddenly became very choked up. "I think that's a wonderful idea." Roy said from the kitchen door where he and Joanne stood watching the three. "Me too," Joanne said wiping tears from her eyes. "Well can we?" Jennifer asked again. "I would like that," Johnny said almost as a whisper. He pulled the two children very close and sat holding them with his head resting on Jennifer's head. "I would like that a lot." Roy crossed the room and handed Johnny a Kleenex tissue. Johnny looked up and grinned at his partner, his best friend. "Thanks Roy." Roy ruffled Johnny's thick black hair in what would become a habit. Johnny decided he would like to take a nap so he would be able to stay awake longer that night. He could never get enough real rest at the hospital. They were always checking on him and poking and prodding. He wanted to be well rested tonight. He thought he might stay up with Roy and help him with the kid's toys. He had gotten them gifts as well. Since he had planned on working Christmas he had brought the gifts over and placed them under the tree over a week ago. While Johnny slept the rest of the guys came over and helped Roy and Joanne set up the dinner and surprises. Captain Stanley's wife Emily came along as well. She helped Joanne in the kitchen preparing dinner. This would prove to be the first of many A-shift family dinners, parties, and barbeques. At about 5 o'clock Johnny came stumbling out of the spare room and went to take a quick shower. He didn't notice the activity in the front of the house. He was still half asleep. He wanted to put on something a little nicer for dinner. Once out of the shower he shaved and finger combed his thick hair. Gathering his dirty things he opened the door to find Roy waiting in the hall. "I thought you might need a hand with the dirty things and crutches." He reached out and took the things from Johnny. "Why don't you go ahead and get comfortable on the couch. We'll be having dinner soon." Johnny turned and slowly made his way down the hall. Roy quickly deposited Johnny's things in the spare room and caught up with him before he got to the family room. "Surprise!" everyone yelled. "Merry Christmas!" Johnny was really surprised to see all of his shift mates standing around smiling at him. He turned very red from being in the spotlight. He had never liked being the center of attention. "Wow thanks. Merry Christmas to all of you too." "Let's all find a place at the table and dig into this fine meal over here," Captain Stanley directed in his oh so Captain way. The group moved to the table. Johnny was placed at the head of the table so he would have plenty of room for his injured leg. Jennifer said grace and they all started passing plates and bowls. After dinner the group moved into the family room. There they spent time talking and laughing until it was time for the kids to be sent to bed. Jennifer and Chris made the rounds hugging and being hugged. When they got to Johnny Jennifer crawled up into his lap and wrapped her arms around his neck. "Merry Christmas Uncle Johnny," She kissed his cheek. "I love you." "Merry Christmas Jenny, I love you too." He kissed her back. Chris came over and held out his hand. Johnny took it and shook it like a grown up. Then Chris shrugged his shoulders and came over for a real hug from his new Uncle. "Merry Christmas, Uncle Johnny." Johnny hugged him back and ruffled his hair in much the same way Roy had ruffled his earlier. The kids were led up the stairs by their parents and tucked snuggly into bed. Joanne and Roy rejoined their guests and the gift giving got underway. Joanne sat on the arm of the couch beside Johnny. He leaned over and whispered to her, "I didn't get anyone anything." "It's okay Johnny I knew you would want to, so I took care of it for you. We can work out the details later." Johnny was moved by her kindness. She had welcomed him into her home and agreed to take care of him. She had even done his Christmas shopping. He felt a lump form in his throat and tears well up in his eyes. He put his hand to his face to hide his emotions. "Johnny are you all right?" Roy asked. "Uh yeah…I uh just have a little headache." It wasn't a lie, and it allowed him regroup before anyone saw the tears that threatened to fall from his eyes. He had never had such good friends before. He hadn't had family since his parents died. "I'll get you some water and aspirin." Roy got up and went to the kitchen. "Well before we get started I would just like to tell you that I am very proud to be a part of the A-shift of Station 51." Hank clapped his hands together. "I hope that this will be the first of many good times we have together. I want you all to know that my door is always open at the station or at home. Merry Christmas." "Thanks Cap," Roy said as he rejoined the group handing Johnny the water and aspirin. "I think I can speak for all of us when I tell you we're glad to have you as our captain." A round of agreement was heard around the room. "Well are we gonna get gifts or what?" Chet grumbled. "Okay Chet, we'll do the gifts now." Captain Stanley reached under the tree and pulled out his gift to Johnny. "John I hope you like this." Johnny took the gift and opened it. Inside he found a new wrist watch. His old one was a wide leather band with a small watch in the center. The new one was more professional looking with a black leather band and a silver watch. "Thanks Cap, it's perfect. Look Roy it's just like yours." Johnny beamed with pride at his new watch. Cap gave Chet a joke book, Mike a book about the history of fire engines, Marco a cook book, and Roy a pen and pencil set. Mike was next in command, so he was next with the gift giving. He knew Johnny had been editor of his school newspaper and was very interested in writing. He gave him a book about how to write a novel. Johnny was very pleased with the book and immediately began looking through it. "Wow thanks Mike! Maybe someday I'll actually write a novel. Maybe it will be about firemen. Maybe it will be a mystery about an arsonist. I could even use some of the fires we fight for material for the story." Captain Stanley got a wrench set from Mike, Chet and Marco both got a mustache grooming set, and Roy got a book on handy man instructions for repairs around the house. Roy was next. First he turned to Johnny, "Junior, Joanne and I have something for you, but we are going to wait until tomorrow morning and give it to you with the kids." "Cap we wanted to give you and Emily something special. We hope you like it." Hank allowed Emily to open the package which contained a set of coffee cups and carafe. "It's lovely Roy and Joanne. Thank you very much," Emily smiled at her new friends. They gave Mike a new spaghetti pot, Chet a work light on an extension cord, and Marco some hot sauces from around the world. Chet was next. He gave Johnny a book about photography. When Johnny opened the book he found a hand made fishing lure. "Wow Chet did you make this?" "Yep, you keep promising to take Roy and I on a fishing trip, so I wanted to be sure you had the right equipment." Chet also gave the others some lures he had made. Marco gave Johnny some tapes of Latino music. He had been teaching Johnny to do some Latin dances like the Bachata, and thought he might enjoy having his own music to practice by. "Are these some of the songs you played when we were learning that dance?" "See, Amigo." Marco pointed out a particular song on the tape. "That's the one we danced to the last time you were at the house." "Okay. I'll play it later and see if I remember the steps. Maybe someday I'll be pretty good at the Bachata." Marco gave Captain Stanley and Emily some spices from Mexico and a recipe book filled with some of his mother's recipes. He gave Mike a model of a fire engine just like his beloved Big Red. Chet got a book he had been wanting about diamonds. Roy and Joanne got a recipe book similar to the one Cap and Emily got. Joanne had gotten the gifts for Johnny to give to his shift mates. He gave Captain Stanley and Emily a blanket with Native American designs on it. For Mike she had gotten some car care products. She knew he liked to keep his engine and his truck shining. Chet got a belt and Marco a wallet both with horses on them. "Well now I have one more presentation." Captain Stanley said. He got up and walked over to Johnny who was still looking at the writing book. "John I would like for you to read this letter." He handed the envelope to Johnny, who looked at the envelope turning it over and over in his hands. "Well open it." Johnny opened the envelope and slowly hesitantly opened the paper inside. He began to read the letter. His mouth fell open in surprise. "How?" "Well I did some checking John. It seems that the fire department will allow you to add your parents as dependents on your insurance policy if they are unable to care for themselves. Since your aunt gained custody of you when your parents passed away..." He paused at the shocked look on Johnny's face. "I'm sorry John they all know. I had to tell them I needed their help to make all of this happen." Johnny's look softened. "As I was saying since your aunt is your legal guardian she qualifies as your parent. I spoke with Chief McKonnikee. Your records showed that you inquired about assistance when she was placed in the home, and were denied since she was your aunt. McKonnikee was able to get the legal documents from the reservation proving her relationship to you. The department insurance company has added her to your policy. Since your inquiry was prior to her admission to the home you are due benefits back to the beginning of her stay. You will receive a reimbursement for any expenses you have had since then. "This is unbelievable." Johnny could not even talk without his voice cracking. "Cap I can't believe you did this." Tears slid from his eyes and down his cheeks. "What you guys have done. It's so….so…." He couldn't finish. "Thank you." The group of friends were all smiling broadly. They knew how much this meant to Johnny. He would be able to stop working so much overtime. He now knew he could come to his friends and would not have to feel like he had to hide his past. Wanting to break the ice and give Johnny a few minutes to regain his composure Roy asked, "Who wants desert and coffee?" Everyone moved toward the kitchen leaving Johnny in the family room with Captain Stanley. "John I hope you are not upset with me for doing this." "No, no Cap. I can't believe you did. I would have never been able to figure this out myself. I don't know what to say." "Don't say anything John, just know that I am very glad you are on my crew. If there is ever anything I can do for you promise you will let me help." "Promise" Johnny looked at his hands. "I'll get you some pie and coffee." Hank went to the kitchen to let the others know it was okay to come back. The party continued for several more hours. The group of friends were getting to know each other on a more personal level. They were fast becoming more like family. "Next year Emily and I will host the Christmas Eve party." Hank smiled at his men. "We'll have a barbeque for the Fourth of July. Hey Roy we should host an Easter egg hunt for the smaller children from the station. I know there are some men on the other shifts with children." "What about St. Patrick's Day Cap?" Chet being Irish didn't want to forget that holiday. "And Valentines Day," Marco forever the Latin lover chimed in. "Why don't we just take them one at a time and celebrate them all." Mike as usual was the voice of reason. "Cap we're working New Years. Why don't we have Emily and Joanne and our other family members join us at the station to ring in the new year if we're not on a run?" Johnny who had been quiet up to now was the one to speak up about the next holiday. As soon as he finished asking he lowered his eyes in doubt. "I…uh…I..mean if it would be all right." "I think that's a wonderful idea John. We'll have a nice dinner and sparkling cider at midnight." Hank smiled at Johnny. It was now nearing midnight and Roy still had to put out the gifts for his children. "Hey Roy why don't you let us help you set things up before we go?" Hank suggested. "Okay Cap that would be great." The A-shift crew worked like a well oiled machine arranging gifts under the Christmas tree. It had been the first of many great times they would have together, and the first of many times they would come to each others aid in a crisis. Captain Hank Stanley had surprised his new crew with his leadership skills and his deep felt compassion for his men. This was a Christmas surprise they would never forget.